which is located in the Creuse region, which is part of the Limousin in France. On this site, you will find the layout of the house, information about the area and what activities there are. Rental prices are per week, from Saturday to Saturday. 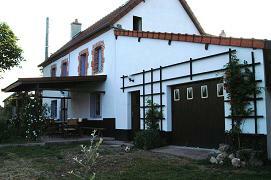 Enjoy the site and we hope you will have a great time in our comfortable and cozy house in the Limousin. Heb je vragen? Bel ons. Natuurlijk kun je ons ook gewoon bellen. .